The Institute of Education and Training (IET), in partnership with the National University of Mongolia, commenced its dedicated English language training program on 13 August 2018. This program is for the 2019 Australia Awards scholarship recipients. 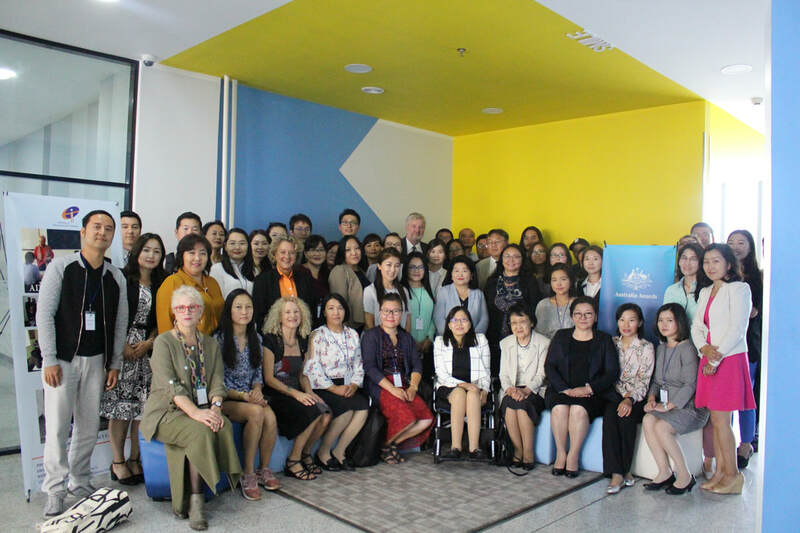 The program commenced with an opening ceremony attended by the Australian Ambassador the Honourable John Langtry and representatives of the National University of Mongolia and the Australia Awards Mongolia in-country office. ​ Sarantuya Tumurtogoo, a former IET student and Australia Award scholarship recipient who attended the opening, observed that IET’s teaching methods and teachers “focused on each students’ individual needs and understanding of learning English”. She also commented on the high-quality of teaching and noted “the generosity of the teachers and their welcoming personalities made being part of this program extremely enjoyable”. Over the next 10-months, 39-award candidates will participate in several English language training modules depending on their language needs. In addition to English language upgrading for IELTS, the scholarship candidates will attend a 6-week Academic Preparation Program which will be delivered with support from the University of Newcastle (New South Wales) English Language Centre. I've got much broader insights into life and people"
"I have got much broader insights into life and people" Burenjargal Otgonbaatar. Interview with Burenjargal Otgonbaatar, one of IET Alumni who has graduated from University of Melbourne. IET was proud to attend the 2015 Australian Education Expo held at the Shangri-La Hotel on September 18-19. The Expo had around 700 attendees with many interested to hear about the IELTS services we offer. It was also fantastic to meet up with Sainka, one of our students who we helped go to the University of Newcastle earlier this year. She loved it so much she is heading back there in February 2016! Staff from IET and our resident kids tennis coach Oggi spent a one day Summer Camp with the children from the Verbist Care Centre. We spent the day painting t-shirts, practicing English and the kids especially loved learning to play tennis. Thank you to all of the Verbist Care Centre and IET staff for their hardwork and co-operation. For all of the photo action from the day visit our 2015 Summer Camp Page. Do you want to improve your IELTS writing skills with English lessons in Ulaanbaatar? We have several experienced IELTS native speaking teachers who can help, including improving your English grammar. You will submit a Task #1 and #2 and they will be returned to you with extensive feedback and helpful advice. Improve your IELTS writing score with our school in Ulaanbaatar today! Contact us today on 91994586 for more information! Hear from one of our students Amaraa about her experience with IET! Шинэ Зеланд улсын Christchurch хотын Timaru Oamaru эмнэлгийн үйл ажиллагаа, эрүүл мэндийн тогтолцоо, эх баригч сувилагч нарын тусламж үйлчилгээ үзүүлж байгаа явц , үйл ажиллагаатай танилцаж ажиглалт хийн туршлага судлаад ирлээ. Энэхүү аяллыг Олон улсын Waimate Ротари клуб ивээн тэтгэсэн бөгөөд Боловсрол Сургалтын Хүрээлэнд англи хэлний эрчимжүүлсэн сургалтанд 2014.09-12 саруудад хамрагдан суралцсан.Тус хүрээлэнгийн сургалт удирдан явуулсан багш нар нь чадварлаг байсан бөгөөд чанартай сургалтаар хангаж, англи хэлний сонсох, бичих, унших, ярих чадваруудыг системтэйгээр эзэмшүүлснээр англи хэлний мэдлэгээ сайжруулж чадсан. Энэхүү хүрээлэнгийн онцлог нь хэн бүхэнд таалагдахуйц сургалтын орчныг бүрдүүлж , найрсаг, чадварлаг хамт олноос бүрдсэн мэргэжлийн чадварлаг багш нар сургалт явуулдагаараа давуу талтай юм. Иймд хэлний мэдлэгээ сайжруулахыг хүссэн хэн бүхэнд уг хүрээлэнг миний зүгээс санал болгоход таатай байна. Багш нартаа маш их баярлалаа. - Айл бүрийн гэрийн эргэн тойронд цэцэрлэгжилт ногоон бүс маш сайн. Айл бүр гоёмсог цэцэг, жимс, ногоо тариалж хүнсэндээ хэрэглэдэг. - Хог хаягдлын менежмент сайн хөгжсөн. - Хүмүүс нь их эелдэг, сайхан харилцаатай. - Oamaru дүүрэгт зочилж penguin шувуу харсан. - Waimate дүүрэгт зочилж усан үзэмний тариалангийн талбайтай танилцсан. - Moeraki далай,болон Mooncook алдартай уулыг очиж дэргэдээс нь харсан. LEARN ENGLISH ONLINE THIS SUMMER! Want to save time and money? 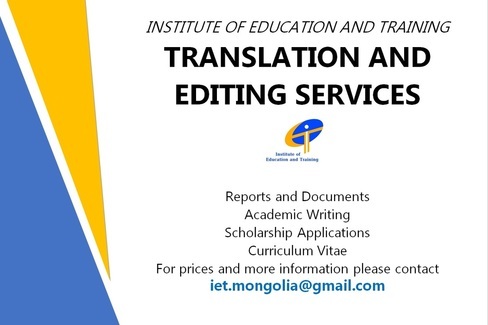 Learn English online in Mongolia with IET! Practical English: Access to an amazing 300 different English lessons! You will practice reading, writing and English listening while progressing at your own pace. Writing for Business: Improve your Business English and put your company ahead of the rest. Do you work with a lot of foreign companies? Would you like to come across professional and ready to play on the world stage? Specialised Vocabularies: Do you work in a specialist industry and want to improve your vocab? Perhaps you need to provide specialist sector training to your employees? IET can help you learn English online in Mongolia with our vocabulary packs. Contact us on 91994586 for more information! IET is pleased to welcome its newest staff member, AVID volunteer Sarah Bown. Sarah will be working as the Communication and Stakeholder Engagement Officer for the next 10 months and is looking forward to becoming part of the IET family. 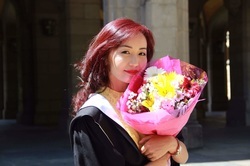 Sarah’s background is in marketing and communications where she studied a double Bachelor Degree in Media and Arts from the University of Adelaide. Since then, Sarah has spent the last 3 years working in marketing roles in information technology and most recently in the higher education sector with the University of South Australia. Outside of work Sarah enjoys reading, yoga and spending time with friends and family. She is excited to be in Ulaanbaatar now that it is warming up for summer and is enjoying learning Mongolian!